We are a diverse team with a shared goal of championing young children and shaping the future of San Mateo County. Each staff member brings unique experience, knowledge and perspective to our work. We believe the future is in our collective hands, and we take that responsibility seriously. 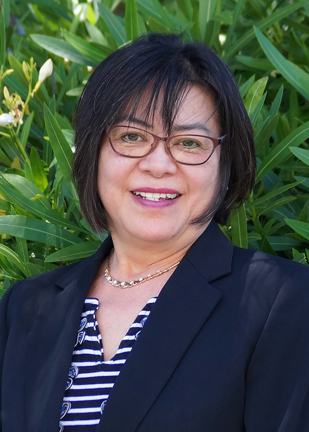 Kitty Lopez has served as the Executive Director of First 5 San Mateo County since 2012, focusing on policy, advocacy and communications development. 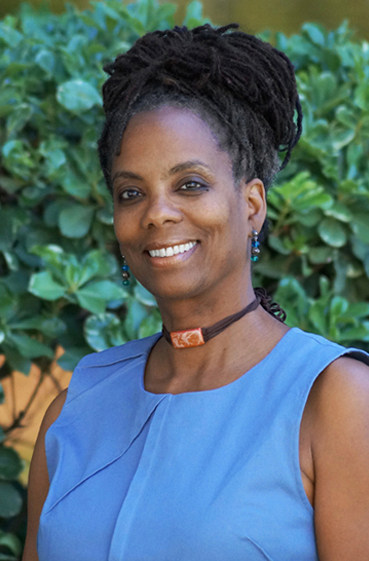 She previously served as the Executive Director of Samaritan House, one of the leading safety-net nonprofit agencies serving low-income families and individuals in San Mateo County with food, shelter, clothing, health care, counseling, education classes, and holiday assistance from 2002 to 2012. Kitty taught kindergarten, second grade, and high school in the Bay Area and in Santa Barbara, and was a consultant in schools with children who have autism and special needs. Additionally, Kitty worked in a residential substance abuse treatment center in San Francisco and psychiatric hospital in San Diego. She attended University of California Santa Barbara earning a California Teaching Credential and B.A in Psychology. 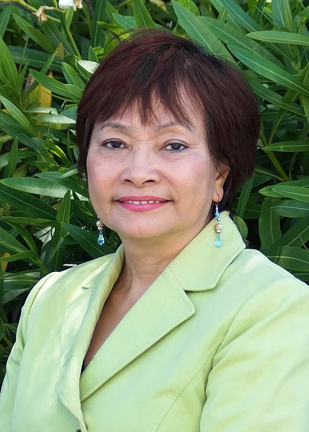 Kitty is active in her community serving on several community boards including HEART (Housing Endowment and Regional Trust of San Mateo County), STEP (Success Through Education Program), and Pat President and Current Member of the San Mateo Rotary Club. Khanh Chau has MBA background and CPA credentials paired with 5+ years’ combined professional experiences in local government, non-profit, public, and private accounting. Khanh Chau has served as Financial Management Analyst at First 5 San Mateo County for 4+ years, overseeing and leading all financial management and accounting aspects of the organization, including financial management and analysis, budgeting, strategic and long-term financial planning, administration, procurement, accounting, and auditing. Khanh’s passion is to help organization and community sustain viable sustainability and make differences to children 0 to 5. Elmira “Myra” Cruz has served First 5 San Mateo County since September 2017. 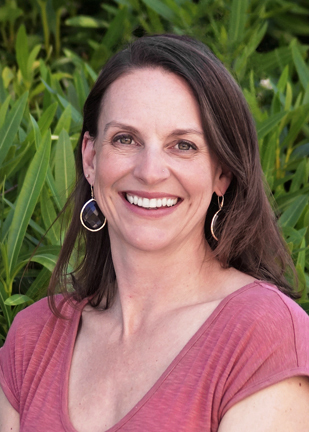 Prior to joining the team, she worked with San Mateo County Health Foundation (SMCHF) for 16 years where she helped raise funds for San Mateo Medical Center so that they can provide access to quality healthcare for the underserved and uninsured population in San Mateo County. She managed the SMCHF’s, “Bundle of Joy Program” which provided educational materials and welcoming baby bag containing baby essentials for new mothers. 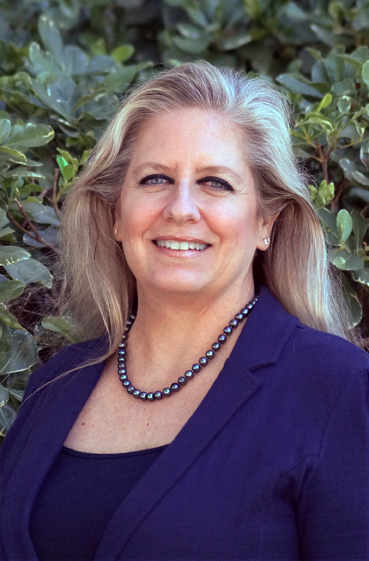 She is exhilarated to join First 5 San Mateo County because its mission aligns with her passion and values on serving the youngest population including children with special needs. Myra received her Bachelor of Science in Business Administration emphasis in Computer Information Systems at San Francisco State University. She loves to spend quality time with her husband and two kids. 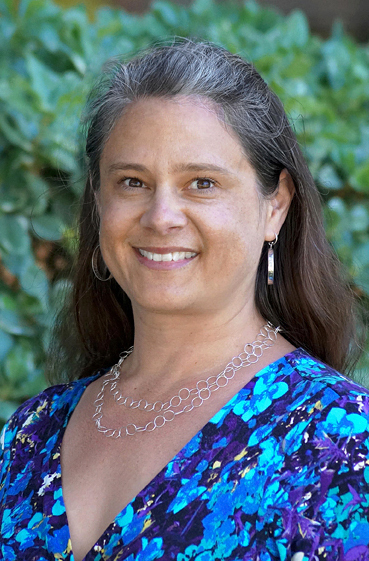 Jenifer Clark has been the Research & Evaluation Specialist at First 5 San Mateo County since 2008. She holds a Masters’ degree in Developmental Psychology. During her graduate program, her research focused on the influence of parenting and various socioeconomic factors on social-emotional and social-cognitive development in infants and young children. Part of her training focused on research methods and data analysis, skills which she is pleased to be able to use in her work. 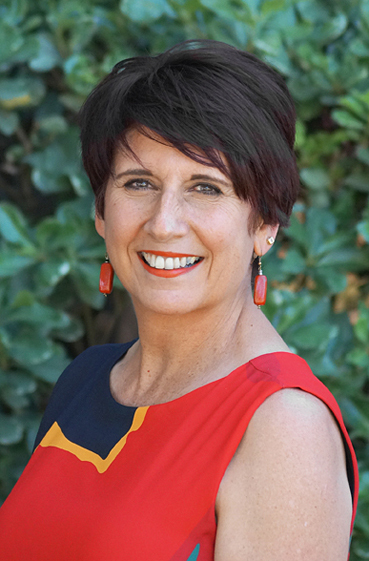 She is passionately committed to the following three principles: 1) The first five years of life are critically important to setting children up to thrive; 2) All children deserve to live in families and communities that provide what they need to maximize their potential; and 3) All of us, collectively, are responsible for ensuring that this happens for all children. Karen Pisani has served as F5SMC’s Family Support Program Specialist since August of 2005. Karen holds a B.A. in Speech and Communications Studies and brings a rich family-centric background combined with significant non-profit experience, including fund development, to her role at F5SMC. Karen’s work value is to align her personal interests with her profession. This approach was the entrée to her work at The Center for Domestic Violence Prevention/CORA where she served as the Director of Development for 5 years and as Interim Executive Director during the organization’s merger with Sor Juana Inez Services for Battered Women. At CORA Karen volunteered on the 24-hour crisis line, became a State Certified Domestic Violence Counselor, successfully fundraised to establish the agency’s endowment, and was interviewed on live TV by Nancy Grace when the infamous Scott Peterson murder trial verdict came in. Prior to her work at CORA, Karen served as the Membership Manager and Interim Director of Development at the Peninsula Humane Society, where she combined her love of animals with her fundraising skills and her interest in child development. At PHS Karen volunteered in the Second Chance Class, where shelter dogs are rehabilitated so they have a “leg up” on adoptions, and volunteered in the children’s summer camp with her 240 pound Mastiff, Dino, teaching young children about the proper care and handling of animals. Karen also worked in Stanford University’s Development Department for 5 years, serving as Assistant Director of Stewardship. But Karen’s most notable and heart-felt role is that of mother to her son, Spencer. When it was time to become a mother Karen’s work value of aligning personal and professional interests brought her here to F5SMC in 2005. Karen gave birth to Spencer in July of 2006 and her role as solo parent and provider has been the impetus for walking her talk regarding practical and compassionate family support services. Emily Roberts has worked in various capacities serving children, youth, and families in San Mateo County for the past 15 years. Her work includes serving as a co-developer and trainer on a national anti-bullying curriculum and researching and serving as a pediatric critical care social worker at Children’s Hospital Oakland. Emily graduated from Colorado College (undergrad-major Psychology) and UC Berkeley for both Social Work (MSW: Management and Planning concentration) and Public Health (MPH: Health and Social Behavior concentration) for grad school. She loves spending time at the beach or in the woods with her family, growing things to eat in her garden, and being a conscious and positive contributor in her various communities. Emily is passionate about health equity, civic engagement, and the ROI of investing in young children. Mai Le joined the First 5 team as a Program Associate in April 2018. She is currently pursuing her Master’s in Public Health, with a concentration in Community Health Education, at San Francisco State University, and has a BS in Planning, Public Policy, and Management from the University of Oregon. Mai has 10 years of experience working in nonprofit and public sectors on developing and implementing programs and policies related to improving the health and wellbeing of communities. She has trained hundreds of health and social providers on planning and delivering more culturally and linguistically responsive services to diverse communities. She previously served as a Reach and Rise mentor and board member at the Peninsula Family YMCA. Outside of her professional life, Mai finds joy in practicing her creativity, cooking and enjoying good food, spending time outdoors, and exploring new places with her partner and toddler. Mey Winata, Fiscal Office Specialist, was born in Jakarta, Indonesia. She graduated from Atma Jaya Catholic University, Jakarta and came to the United States in 1987. Mey has two children, one of whom was born in Jakarta and the other one in Daly City. She joined F5SMC as a Fiscal Office Specialist since 2008 and her duties are in fiscal, payroll/HR coordinator, administrative assistant and KNP distribution. She loves her job because she has a passion for numbers and admires the vision and purpose of F5SMC – the welfare of children 0-5 in San Mateo County. She only wishes that more organizations were devoted to the same purpose.